Thinking about the early Bee Gees records reminded me that they were far from the only musicians to decide in 1967 that it was time to step up their ambitions. On both sides of the Atlantic, new and established acts alike could not help but hear the innovation happening around them. It was more than Sgt. Pepper and Revolver: the painstaking beauty of the Beach Boy’s Pet Sounds, the increasingly elaborate and emotional wordplay of Bob Dylan’s electric albums, and the fearless, avant-garde experimentation of Frank Zappa and the Mothers of Invention on Freak Out! all helped to expand the definition of what pop and rock were capable of. And in 1967, there were no nationally-televised prime-time singing competitions, no radio conglomerates; was marketing, but marketing was new and willing to take chances. An artist could push the boundaries and get major-label deals and mainstream exposure. The results were some terrific albums like those of the Brothers Gibb…and a lot of mediocre and just plain bad material. There’s only so many “electronic masses” and sound collages and electric jug bands a person can absorb without going insane. Yes, complete with an ELECTRIC FREAKIN’ JUG! 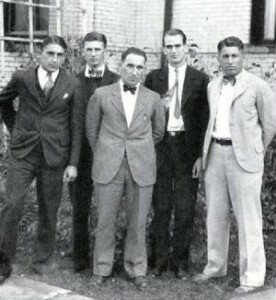 See what the guy on the far left is holding? Do you SEE THAT? Who thought this was a good idea?! Two memories from my childhood came to mind when I heard that Robin Gibb had died in May. First, my parents’ laughter as “Stayin’ Alive” or “How Deep Is Your Love” came on the car radio and a four or five year old Andrew proudly declared that this was the BeeGees with a very hard G. I was conscious of the Bee Gees even that young. Say what you like about them, there was a stretch of several years when Barry, Maurice, and Robin Gibb, and their solo brother Andy as well, were inescapable in every part of the globe, and that gave them a permanent, ubiquitous place in pop culture, veering on the scale from the mostly ridiculed to the mostly respected. That ubiquity makes it harder to believe that the Bee Gees are now truly no more, as only Barry remains with us from the Brothers Gibb. The “role model” whose praises I had been singing in my own comment is Chris Hardwick, the comedian who made the unexpected transition from being a punchline himself, as the host of the successful but reviled MTV show Singled Out, to the mastermind behind the acclaimed Nerdist Podcast and the accompanying Nerdist Industries website. Hardwick and his to-do list. Naturally, as a fan of Hardwick’s I took offense to this remark, but the writer in me wanted to produce a more thoughtful reply beyond “he does so have actual skills!” Thus, I got to thinking, and the answer came during a listen to one of my favorite episodes of the Nerdist Podcast (#204, “Gersberms”). 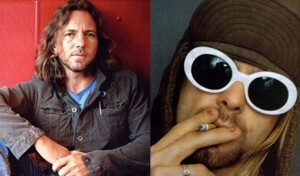 It suddenly struck me how much Hardwick resembled one of his own heroes, and this resemblance made me further realize what precisely Hardwick’s greatest talent is. I would argue that Chris Hardwick is the 21st Century equivalent of Johnny Carson. As you may recall, one of my esteemed colleagues here at the Recorder wrote in one of his first essays that baseball is a boring spectacle that has been surpassed in recent years by nigh every other major professional sport short of cricket, curling, and non-Triple Crown equestrian events. 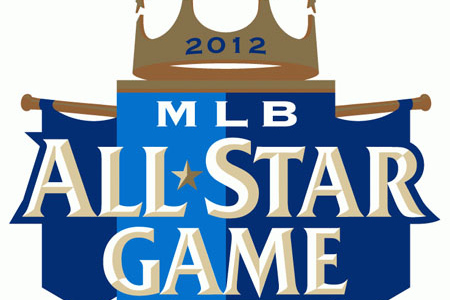 Unfortunately, the MLB All Star Game is one of the best arguments that can be made for his position. Picking up where we left off last week, I am continuing my run through the best that TV had to offer this past year. This week I am listing off spots ten through three from my top ten list. I tried to write out what made each of these shows special and worthwhile, though none of them got the space for consideration and praise that they truly deserve. That being said, I realized before I even wrote this that the two shows that top my list will need a ton of space just to get all my thoughts about them into coherent order. So they will get their own posts in a few days. Until then, enjoy this section and take a guess as to what my top two are. Oh, and if you haven’t yet, check out my Honorable Mentions and Individual Citations list first. Enjoy! Now I’m bored and old. Note: This article is best read while listening to Loud Music. The idea of a generation of young people living and breathing and sharing the same cultural experience is not a new thing. It’s only in the 20th Century that Americans have, in an effervescent need to create a label for anything and everything under the sun, labeled themselves as belonging to part of a generation in an effort to unite and identify their own personal experience so as to make sense of the whole thing. Or something like that. Posted in: American Literature, Books and Literature, Grunge, Music	Tagged: A Farewell to Arms, Eddie Vedder, Ernest Hemingway, F. Scott Fitzgerald, In Utero, Kurt Cobain, Nevermind, Nirvana, Pearl Jam, Ten, The Great Gatsby, The Sun Also Rises, Vs. When it comes to movies, my all-time top-ten hits many of the marks expected from a film school graduate: Allen, Altman, Bergman, Fincher, Kubrick, Leone, and Malick all have spots. The only director who makes it twice, however, is my cinematic idol, Sir David Lean. 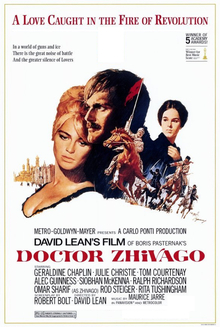 Few people would argue with one of my choices, the extraordinary 1962 Lawrence of Arabia, but the other Lean picture on my list is one which is not looked upon as favorably: his 1965 follow-up, Doctor Zhivago, which is now available on Netflix Instant Watch. The adaptation of Nobelist Boris Pasternak’s signature tome was a massive blockbuster complete with chart-topping soundtrack album, but even then the critical reaction was decidedly mixed. Those in disfavor attacked it as three hours and twenty minutes of lovely pictures with a plot straight out of a soap opera. Worst of all, it was charged with committing the cardinal sin of boredom. To this day, Zhivago is rarely mentioned in film history books, whether scholarly or popular…while enduring in popular memory, if AFI and BFI honors and multiple DVD reissues are any indication. But the aesthetic near-dismissal of Doctor Zhivago is a mistake. According to my esteemed Recorder colleague, there was an insanely-important, mega-massive sporting narrative that occurred around the same time the northern hemisphere officially welcomed summer’s arrival. It was about a ‘King’ finally winning a trophy, or some other such story. Really, it confused me. Who cares about a King winning a trophy, when the L.A. Kings won Lord Stanley’s Cup for the first time in franchise history? But this was the only signal of summer’s advent: besides the Cup finding a brand new home, I won my NHL Playoff fantasy league, Adam Henrique didn’t win the Calder Trophy, Pavel Bure did get elected to the Hall of Fame, the Draft came and went, and the NHL free agency season came to life. Despite my excitement, I can’t say my priorities were always aligned this way. Once upon a time, the bleak months after the Super Bowl were a dead time before the catchers & pitchers reported to Spring Training. This is because, for much of my life, I had turned my back on the NHL. But I was saved from this ignorant hockey darkness by the trinity of friends, family, and fantasy sports. Meanwhile, the other theme here is that I care not one jot for David Stern’s NBA. My up-and-down relationship with the NHL began back in my childhood. I had attended a couple Milwaukee Admiral games (who were, at the time, part of the IHL). When I started to watch hockey on TV, which wasn’t too often, I found myself rooting for the Minnesota North Stars. Happy 4th of July from all of us at the Recorder! I watched more great TV in the past season than I can ever remember doing before. This is a big, bold statement, essentially saying that the best of TV in the past 12 months stands up to the best of any other such period, ever. But, hey, I lead with it, so I stand by it. If you want to be on the bleeding edge of what is current, great, and vital to American popular culture right now, turn on your TV (or download lots of videos off the Internet, as I too often did). So, without much ado I want to get on to the listing and such. There will be two distinct parts to this article: first, the list of my picks for the top ten programs that aired from June 2011 to June 2012. Each show will get a brief write-up arguing my case for it, and the top two will get another, longer article devoted to them soon. I will also call out what programs deserve an honorable mention, and those that I missed and should not have — you can all take me to task for that. After that I will go through and list of some of the individuals or specific episodes that deserve a special mention outside of the list. Enjoy!